Here’s what’s happening in the world of television for Tuesday, May 22. All times are Eastern. Tig Notaro: Happy To Be Here (Netflix, 3:01 a.m.): Tig Notaro is an expert storyteller, whether she’s spinning yarns on public radio, her short-lived dramedy One Mississippi, or as part of her stand-up act. Her reveries are as full of sadness as they are absurdity, but for her new special, Happy To Be Here, Notaro focuses on the sweet here and now. The result isn’t quite as groundbreaking as Live, but it is bold—and hilarious. Our full review will be up later today. The Middle (ABC, 8:30 p.m.): Ah, Heck: It’s time to bid a final farewell to Frankie, Mike, Axl, Sue, and Brick. 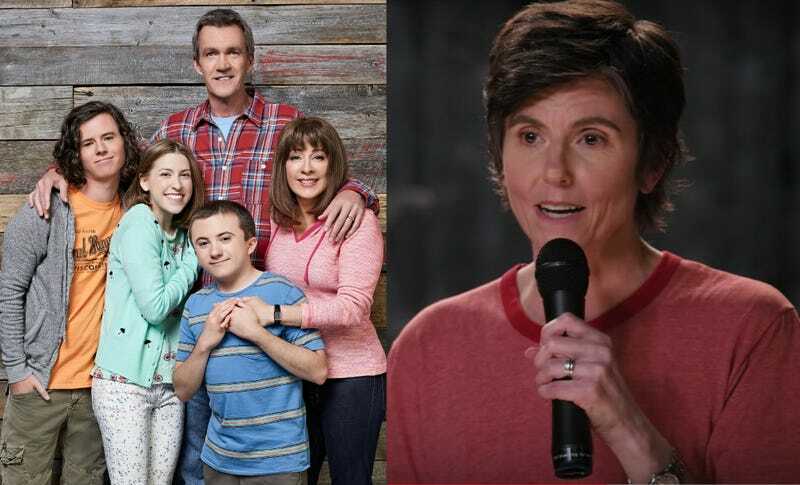 After nine seasons, this winning blue-collar sitcom, one of only a handful to pick up the torch after Roseanne, is bowing out on the same night that Roseanne Barr’s revival wraps for the season. Will Harris is back to say goodbye. Queen Sugar (OWN, 10 p.m.): Ava DuVernay’s sprawling and scintillating drama returns for its third season with a two-night premiere that begins May 29. Whether you’ve been keeping up with the Bordelon family or want to get started, OWN is airing a behind-the-scenes look that will prime you for the new episodes.